Some of us prefer to have our own full backup that includes our files, database, emails and settings as starting from scratch would be troublesome if your website got messed up with no backup. Learn how to generate your own full cPanel backup and download it to your local computer. Please be guided by the instructions below. Login to your cPanel account (yourdomain.com/cpanel). Then click “Full backup” button. Choose your preferred location where your full backup gets generated (We highly suggest choosing Home directory). 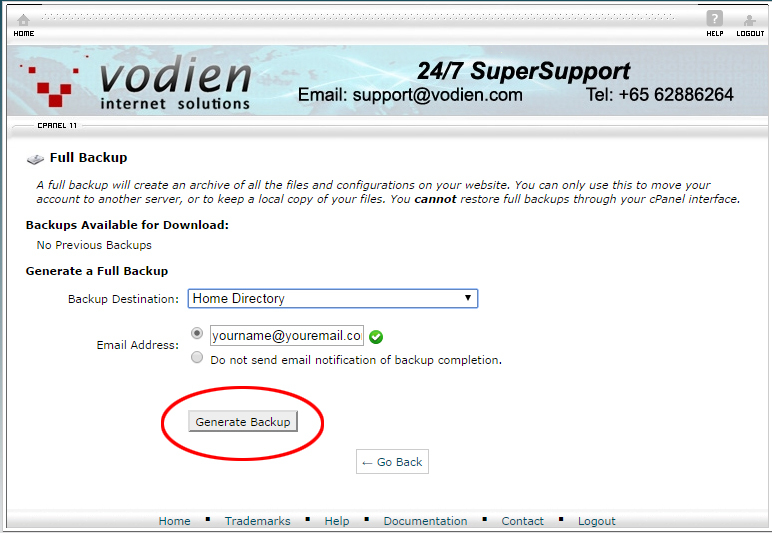 Enter your email address and click “Generate Backup” so that our system will send you an email notication once your full backup is completely generated. 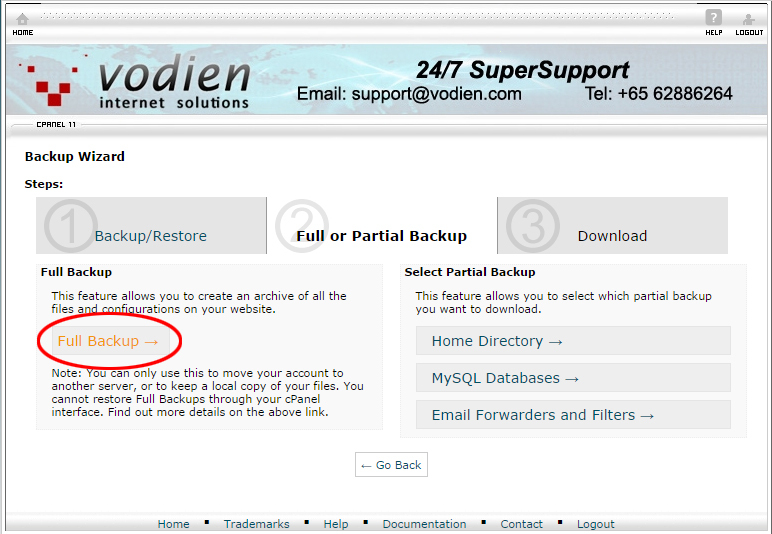 Once done, you can then locate your full cPanel backup at your chosen location (ex. Home directory) and download it accordingly. If you have a Web Hosting or a Business Hosting package, you may also use the JetBackup application in generating the full account backup.